Boot your computer with Hiren’s BootCD PE. 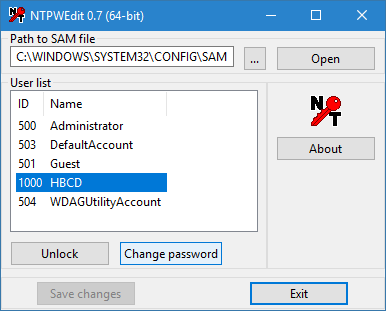 Open your SAM file (It is usually located in C:\Windows\System32\config\SAM). Click your username and the click ‘Change password’. 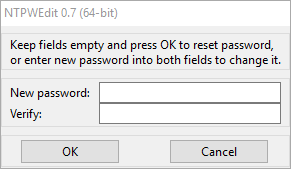 To set a password, type your password both ‘New password’ and ‘Verify’ fields and then click to ‘OK’. To remove the password, leave both ‘New password’ and ‘Verify’ fields blank and then click to ‘OK’.